We are excited to announce today Remote Aviation has partnered with Aviation Australia to deliver a Certificate III in Aviation (Remote Pilot – Visual Line of Sight). This is big news for remote pilot training as Aviation Australia is a world-class, registered training organisation, established by the Queensland State Government in 2001. It was established to support the development and growth of aviation and aerospace industries in both the Australian and international markets. The Certificate III course was developed by both organisations in response to an increase in demand to operate Remotely Piloted Aircraft Systems (RPAS), commonly known as drones, for work and commercial purposes. “The unmanned aviation industry is expected to grow significantly in the next decade, increasing RPAS career prospects and supporting the constant evolution of technology,” said Bill Horrocks, Chief Executive Officer at Aviation Australia. The increase of RPAS usage has extended to integral industries such as emergency services, the police service, research collection and surveying, to name a few. “RPAS are already being used as a business tool to access high, difficult or unsafe places. As a result, many sectors are ramping up their usage, using them for disaster management, infrastructure, agriculture, surveillance and resource purposes,” said Ryan McMahon, Chief Remote Pilot, Remote Aviation Australia. The Certificate III in Aviation (Remote Pilot – Visual Line of Sight) involves theoretical and practical training, which upon completion enables students to qualify for a Remote Pilots Licence (RePL). The RePL enables operation of an RPAS for business or commercial purposes. The licence permits graduating students to operate an RPAS without many of the weight or operating restrictions that exist if you do not hold the licence. Graduating students will also receive an Aeronautical Radio Operators Certificate (AROC), which is a Civil Aviation Safety Authority (CASA) qualification to use aviation VHF radios and operate near airports and helipads. “Not only does the course provide vital certifications, it also includes extra flying practice where the student will plan and implement a number of remote pilot workplace scenarios,” said Ryan McMahon. 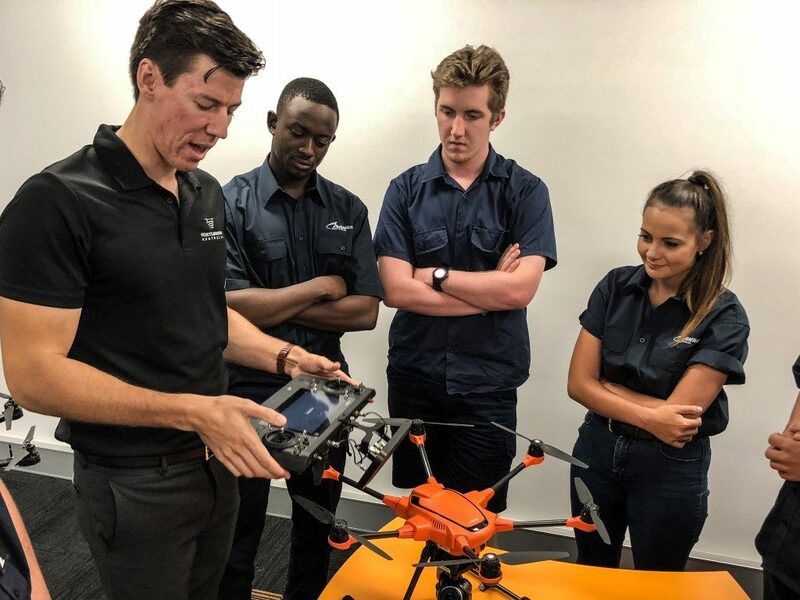 The RPAS theory training will take place at Aviation Australia’s world-class facilities at the Brisbane Airport, as well as Remote Aviation’s facility in Sumner. Practical training will take place in an RPAS safe area nearby. Courses will begin on April 5th, 2018 and use blended learning strategies of online lessons and seven-days of face-to-face training. In addition, all Certificate III course participants will also receive DJI’s new drone, the Tello, at no cost. The Tello, due for release soon, will be a great little drone to practice with at home and introduce your friends and family to the RPAS industry. For more information about the training please visit the Certificate III page of the Remote Aviation website. Aviation Australia’s AVI30316 Certificate III in Aviation (Remote Pilot – Visual Line of Sight) is delivered under a third party agreement by Remote Aviation Australia.